Cowes Harbour Commission is the statutory harbour authority for Cowes Harbour on the Isle of Wight. They have the responsibility of ensuring users of the harbour have accurate and up to date information about the goings on in the harbour including 'Local Notices to Mariners' and tide and weather information. Netguides provide the website and GemaCMS content management system to enable them to update the website easily and frequently. 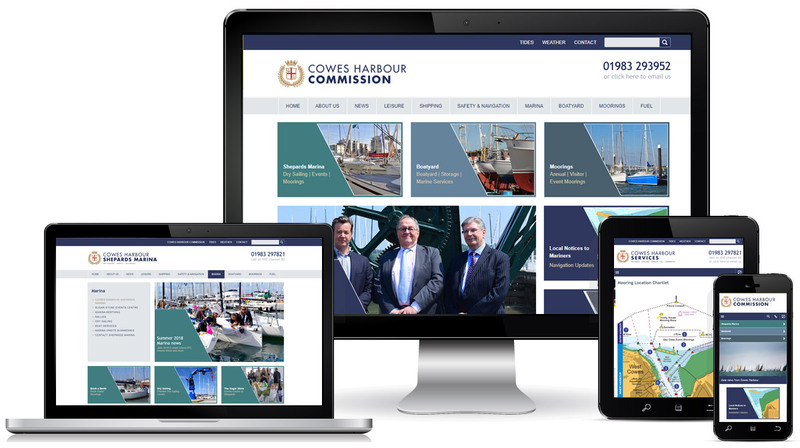 BRIEF: To provide a mobile responsive website that will be highly placed in search engine searches and provides easy access to all the commercial and statutory information the Harbour needs to disseminate.